Get up and running with little or no experience with this comprehensive campaign planning course; although, even experienced candidates can learn some important lessons in this meat and potatoes of the campaign course. Learn where to start; when and how to file; how campaigns are run; what is needed to run a campaign, and how to map out a winning strategy. Use messaging, fundraising, and voter contact tips. Learn basic campaign strategy, the campaign structure, and what to look for in primary numbers. 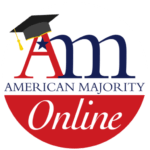 Note: This course is the first in a series of four toward a Campaign Certification from American Majority or may also be taken as a stand alone. All course materials are available online through this course. Why Become a Precinct Committeeman/woman? Chapter 3 - Why Are You Running?